Traditional wedding cakes have a fruit filling and three tiers that each have their own meaning. It is said that the bottom tier is to be given out at the ceremony itself, the middle tier is consumed after the wedding ceremony and the top tier saved for the christening of the first child. 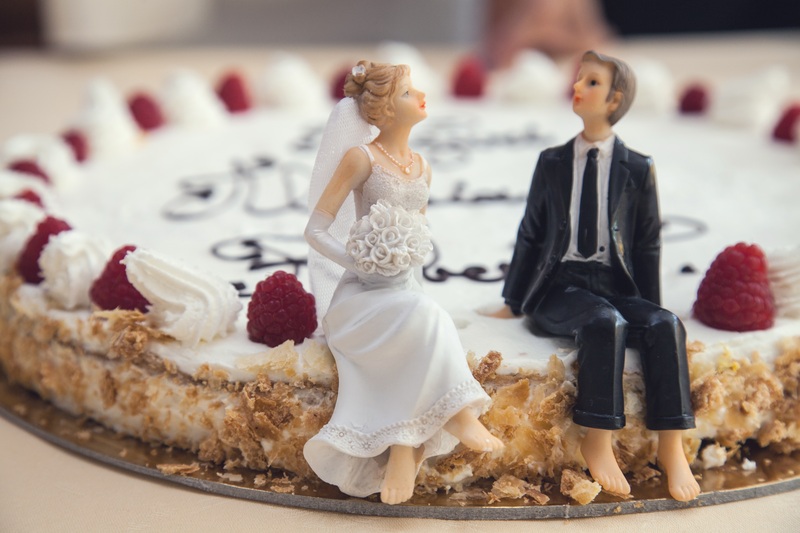 Of course, things are a little different these days, and many people veer away from tradition on their big day, opting for a variety of colours, fillings and decorations on their wedding cake. In the latest blog post from Verona Couture, we discuss alternatives to a traditional wedding cake. If fruitcake isn’t your thing, why not consider a sponge cake with a fresh strawberry puree, or perhaps a zesty lemon filling? Remember, if you are having a tiered wedding cake, not all tiers have to be the same flavour. If children are attending the reception, you might consider a simple Victoria sponge for the top tier, and a more intense or rich flavour for the tiers underneath for all adult guests. Adding optional sides to your wedding cake is another great way to add seasonal flavour. For a spring or summer wedding, you might consider light options such as lavender or orange infused ice cream, seasonal fruit or a berry compote. For autumn or winter weddings, cream or warm custard can work very well, keeping your guests full and satisfied. Tiered wedding cakes look stunning, but if you are having a smaller wedding, you may want to opt for an alternative. Cupcakes are becoming increasingly popular at weddings and look spectacular layered on tiered cake stands. Whether you have your tiers separated by colour, flavour or size, cupcakes can create just as much impact as a large singular cake, and allow for just as much creativity. Whether you’re planning a traditional wedding and looking for an elegant gown to complement the style of your big day, or you’re planning something a little more unconventional and want a show-stopping dress for your big day, our trusted team can help. To book an appointment, please use our online booking form or call today on 01234 714401. For enquiries, fill in our online contact form and we’ll be in touch shortly.